In addition to the amazing LEGO models created by builders all over the world, The Brothers Brick brings you the best of LEGO news and reviews. This is our weekly Brick Report for the fourth week of April 2018. TBB NEWS & INSTRUCTIONS: As spring 2018 LEGO sets continue to be revealed and we begin looking ahead to the summer wave of LEGO sets, it’s been another busy week of LEGO news here at TBB! LEGO Jurassic World: Fallen Kingdom sets now available – The wave of LEGO sets supporting the next installment in the long-running Jurassic Park and Jurassic World movies has hit store shelves. Check out our hands-on reviews as well! Claas Xerion tractor instructions by Cole Blaq – We feature plenty of creatures, characters, and spaceships in our instructions, so it’s nice to also be able to build a lovely green tractor for your LEGO city. Build your own cutie doggie desk buddy – It’s the Year of the Dog, and we’ve put together a step-by-step instructional video so you can build your own LEGO dog with a design by CK HO. First six LEGO Unikitty sets revealed – Unikitty was one of the great new characters introduced by The LEGO Movie back in 2014, with a follow-on TV show confirmed last year. This is our first look at the LEGO sets supporting the new TV show. 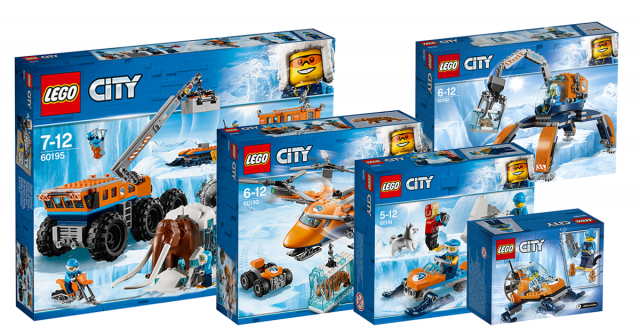 LEGO City summer 2018 sets revealed – We’re finally getting a good look at the rumored mammoths and sabre-toothed tigers in the upcoming Arctic-themed LEGO City sets scheduled for release this summer. 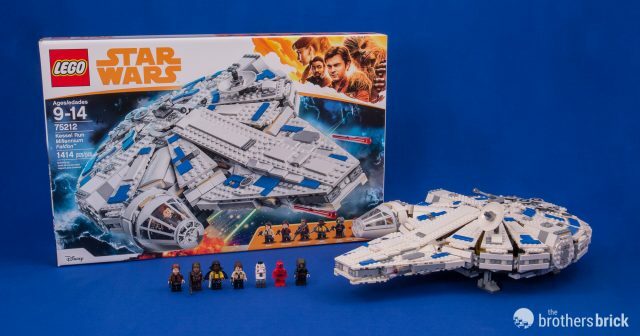 TBB REVIEWS: With new Solo: A Star Wars Story and Jurassic World: Fallen Kingdom LEGO sets on store shelves, we’re continuing to bring you highlights from all the spring 2018 LEGO sets. 75212 Kessel Run Millennium Falcon review – So this is what Han Solo’s iconic ship looked like before he customized it. But how does the LEGO set stack up against previous versions of the Falcon? LEGO Star Wars 5005376 Darth Vader Pod – We take a closer look at this month’s promotional giveaway from the LEGO Store. 75928 Pteranodon Chase review – Each Jurassic World set includes a unique dinosaur. But this one doesn’t, because pterosaurs are not dinosaurs! LEGO BrickHeadz 41610 Tactical Batman and Superman – These latest BrickHeadz from Justice League had barely been announced when we found them on a store shelf and were able to bring you an early review. 75929 Carnotaurus Gyrosphere Escape – We take a closer look at one of the new LEGO dinosaurs from Jurassic World. 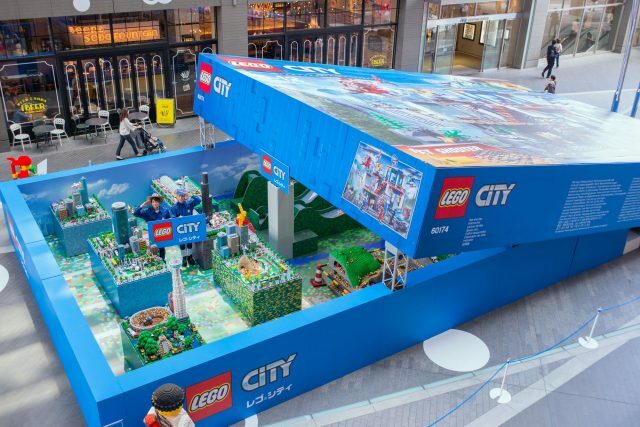 LEGO Japan unveils a LEGO City box so big you can walk inside, LEGO Japan Facebook page – Have you ever wondered what it would be like to be a minifig inside a LEGO box? LEGO’s team in Japan created a monstrous box that you can tour. The box will visit four locations (in Tokyo, Fukuoka, Miyagi, and Osaka) starting this weekend through September. Autistic teen’s Lego Titanic replica on display in US, BBC – A teenager from Iceland built a 26-foot-long LEGO Titanic, and it is currently on display at the Titanic Museum in Pigeon Forge, Tennessee through 2020. The BBC story shares insights on how LEGO can provide therapeutic benefits for people with disabilities. LEGO The Incredibles video game footage, WB Games Youtube – With The Incredibles 2 due in theaters soon, TT Games is releasing a multi-platform game featuring the Pixar movie’s heroes and villains. Porsche builds 911 Turbo out of massive Lego bricks, cnet – Life-size LEGO cars seem to be a common occurrence these days, but they’re usually built from regular-sized bricks. This 911 Turbo from 75888 Porsche 911 RSR & 911 Turbo from the Speed Champions line has been scaled up using scaled-up bricks instead!